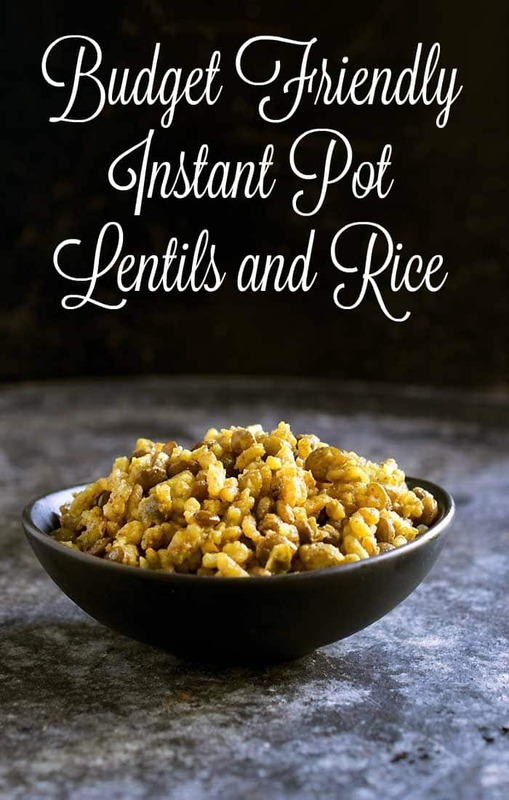 We all need to have a few budget-friendly recipes in our repertoire, and this Spiced Instant Pot Lentils and Rice is also quick and easy too! Note: This post is sponsored by Harris Teeter. All the opinions and the recipe are mine and I hope you enjoy it. When Harris Teeter asked me to make a meal for 4 under $20, I jumped at the chance. 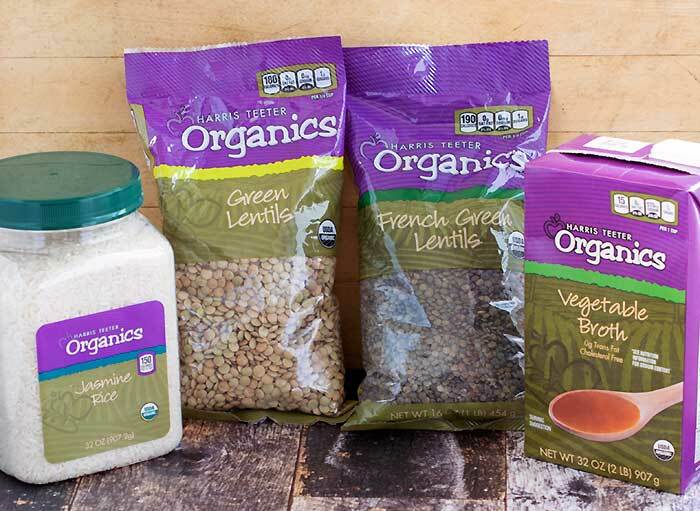 I already use their private label products and love that they’ve expanded their line to include many low priced HT organic choices as well. Many people seem to think that eating vegan is either expensive or boring and this meal is neither. All you need to elevate inexpensive beans and rice are a few spices that are probably already in your spice cabinet. I knew that I could do better than one meal for that. 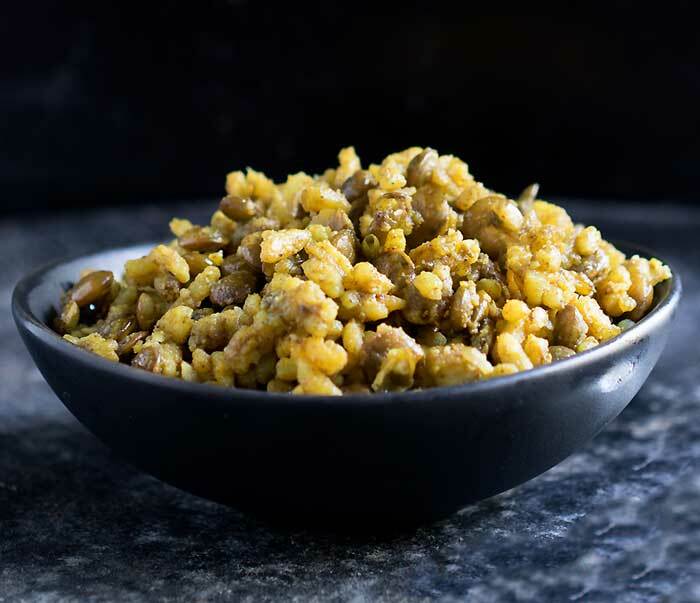 Just for this recipe I used 2 kinds of organic lentils, both French green and brown, a large container of organic jasmine rice, and threw in some organic vegetable broth. All of these came in at under $15 and you could make this recipe at least 4 times if not more. Also you have enough left over to grab some HT Organics Marinara Pasta Sauce and HT Organics Whole Wheat Penne, plus almost $3 for fresh or frozen veggies to add in. I’ve given you 6 meals for 4 for under $20 and all the main ingredients are organic too. You can save even more money by using water instead of vegetable broth, or just use 1/2 broth and 1/2 water. You can also tone it down a bit and just use all brown or all green lentils instead of buying both kinds at once. If you don’t have these spices on hand to make my Middle-Eastern inspired version, try buying one blend like a chili powder, Italian seasoning blend, or even garam masala instead. What I’d suggest is to not add it until the mixture is cooked, then add the seasoning blend of your choice, to taste. Add all the ingredients to your Instant Pot liner except for the salt. Cook on high pressure for 10 minutes. Carefully release the pressure manually. If you've used broth, you may not need to add any salt at all. 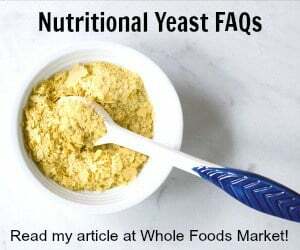 If you used water, salt to taste and you can even add in 2 tablespoons of nutritional yeast to give it an optional flavor boost. Serve with steamed veggies or over a bed a baby kale or spinach. Be sure to pin the recipe and share it with your Facebook friends and groups! 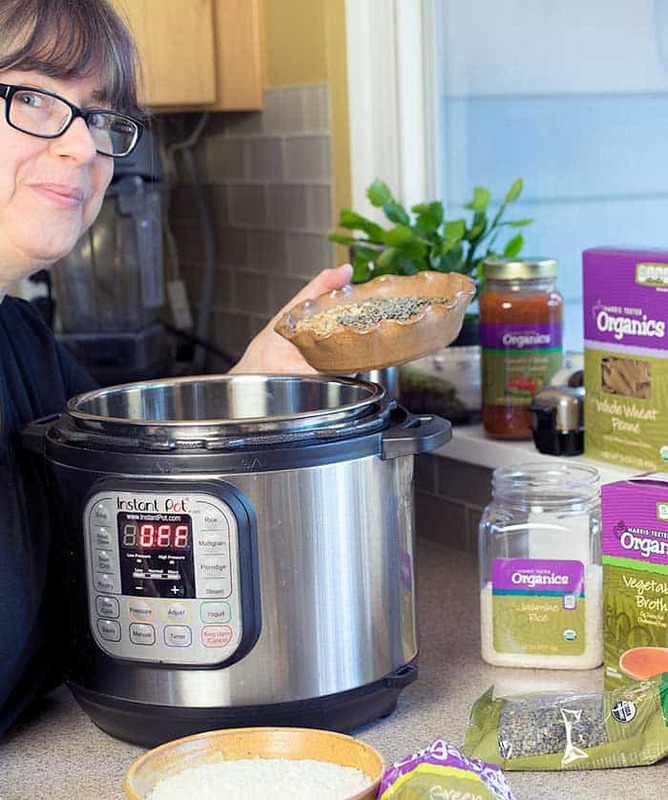 Get more vegan Instant Pot recipes on the blog here or in my book, The Ultimate Vegan Cookbook for Your Instant Pot. If you’d like to give these as a Christmas gift, here are 2 handy recipe cards to choose from for you to download. Just right-click and save image as. « Vegan Menu Plan for Any Kind of Weather! I cannot wait to try to this. The spices are fabulous! Will balance it out with a ton of sauteed greens. Thank you. Your book is in my shopping cart! Loved your video with Chef AJ! Can this be done in a crock pot with the same measurements? I don’t have an Instant Pot. I don’t think this would be a good fit for the slow cooker. I’m working on a revised edition of The Vegan Slow Cooker so I’ll see if I can come up with something else. I convert a ton of recipes to the crockpot.I think this would be fine. I’d add all the spices in to cook at the same time. If you’re home I’d cook it on high, otherwise low. I do this nearly exact recipe in my microwave for 40 minutes on 70% power (sorry, I forget wattage). Pretty much every day for months at a stretch. Sometimes, I throw a raw (or even frozen) chicken breast in there and chunk it at the end of cooking. 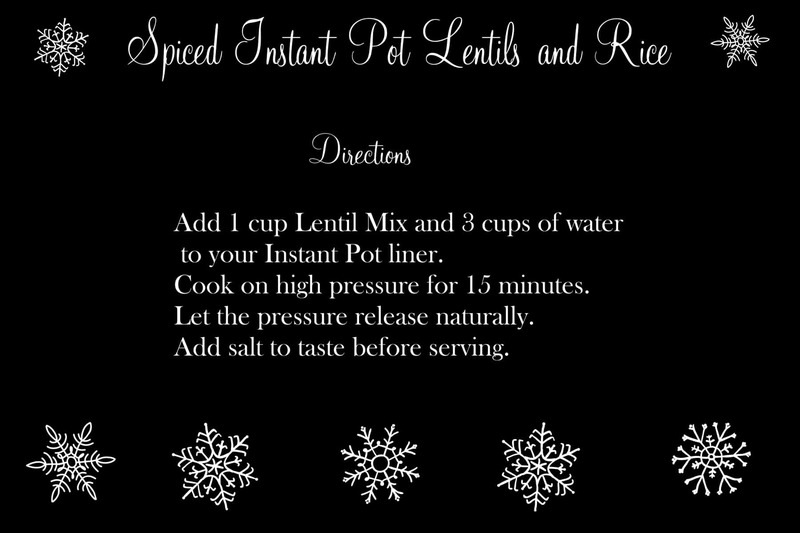 Generally, 1/4 cup lentils to 1/4 cup rice, then whatever else you want. Sometimes, I just do lentils, rice, and a little block of gouda or something from the bits-under-5-bucks bucket at Ralph’s. I’ll also occasionally throw in Ortega Mexican Seasoning along with the cheese, then add pepper to taste. It’s hard to overvalue the rice/lentil combo. I can double the amounts to 1/2 cup each and just add 20 min to cook time. Who says eating vegan plant-based whole food is expensive? I hear it from newbies and non-vegans all the time. Looks yummy! I want to try it, but would like to use brown rice. Do you think I can do this and just cook about 5 minutes longer? Or would the lentils get to mushy? They might get a little mushy, but it’s doable. I would cook 24 minutes though. 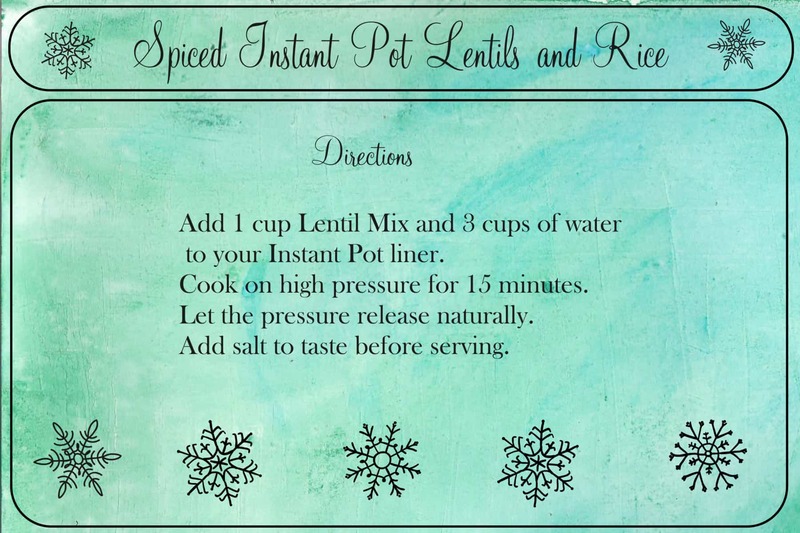 I’m planning to use brown rice also but quick release after 12 mins and then add the lentils and cook for 13 minutes with a 10-minute natural release. The spices sound just yummy! I just made this and followed what it said and when it was done I had to add a cop of water just to be able to mix it up because it was so dry I couldn’t even mix it…..Next time I will put 4 cups of water instead of three!! I WILL make this again so easy and quick. The flavor was very mild and Im thinking because of the extra water after it was cooked!! Did anyone have this problem? 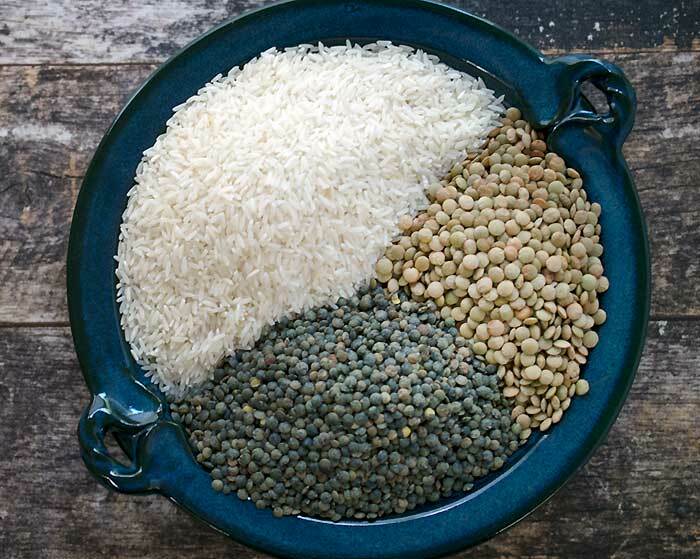 Carol, I just made this and didn’t have this problem, but I’m wondering if maybe you used the dry measuring cup you used to measure the rice and lentils to measure the water? I used to make this mistake with recipes and just realized it does make a difference to use the typical glass measuring cup specifically for liquids for the liquid ingredients in the recipe. Me. Just now. It’s good, but it definitely needs to be cooked with more water. Hello Kathy: Thank you for posting this. How can I use brown rice in this recipe? This was incredibly quick, easy, and delicious, thank you! I didn’t have onion powder so just used a bit more garlic powder. I topped it with some plain whole milk yogurt and some tomatoes and cucumbers that I had marinated in vinaigrette, and also carmalized onions. But it would be fine on it’s own too! My 2 year old loved it too. Hi, I made this recipe last night for dinner. I must say the flavors were delicious, but it was just a big pile of mush, not fluffy at all and the lentils completely disappeared. If I didn’t know they were in there, I wouldn’t have been able to tell. I followed the recipe exactly. What do you think went wrong? I’m not sure since more people have found them too dry. 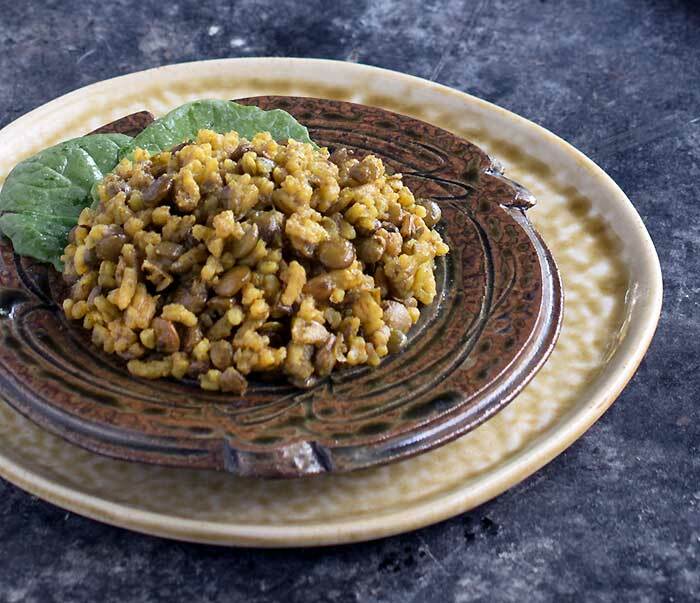 When I tried this the lentils were cooked perfectly but the rice was complete mush. I used real basmati rice from India. Any ideas? I have found if it sits on warm for very long it does go to mush. Maybe try manual pressure release? Followed directions exactly. Natural release for 10 minutes and then quick release but I still had mush. Very disappointing! I just made a version of this yesterday! I use 2-3tbls cumin, 1tsp gr.coriander, 1tsp gr.cardimom and about 10 pieces of mistika (mistic gum). It was shown to me from my Egyptian neighbor about 40yrs ago. It’s called mujadara. I love this! I made this with brown rice and loved it! I followed the same instructions. (15 mins on high pressure and natural release) The only other thing I substituted was the brown lentils since I didn’t have any. 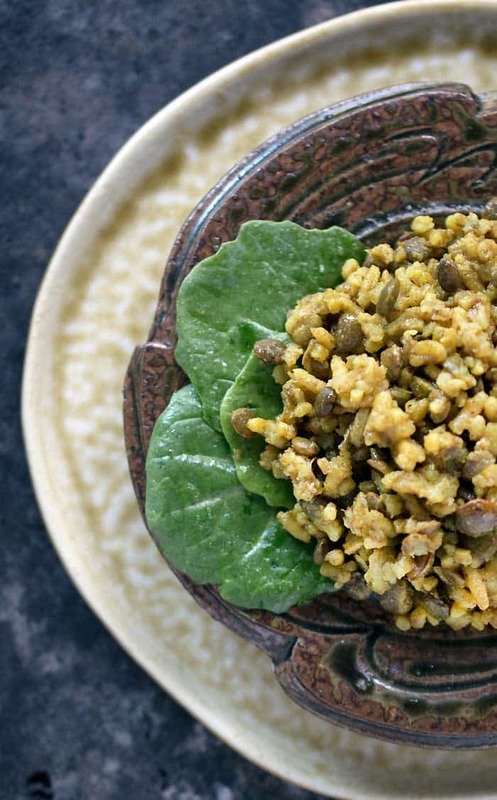 I used green and black lentils. This mix was fantastic stuffed in peppers topped with a bit tomato sauce and melted vegan cheese. Hi, this recipe didn’t work for me. The rice was sticky, the lentils were hard, and the addition of cinnamon made it sweet (although I may have added a bit too much). Any ideas what went wrong? Should this work on any Instapot? Lenthil came out hard with this recipe.